Have you ever had the need to send anonymous emails to someone? Maybe you’re discreetly declaring your love to someone. Or maybe you’re a journalist and need to secretly communicate with an informant. There are plenty of legitimate reasons someone may want to send anonymous email. There are free online services on the web that allow you to do this. Or you can use a VPN and an anonymous burner email account (i.e. throwaway). These days it’s very easy to send emails without having to reveal your true identity. In this article, you’ll learn how to send an anonymous email using the five most effective methods we’ve found. Using a web-based email account like Gmail is a great option. You can sign up for a Gmail account without providing any actual identifying information, and then use that address as a kind of burner email account. 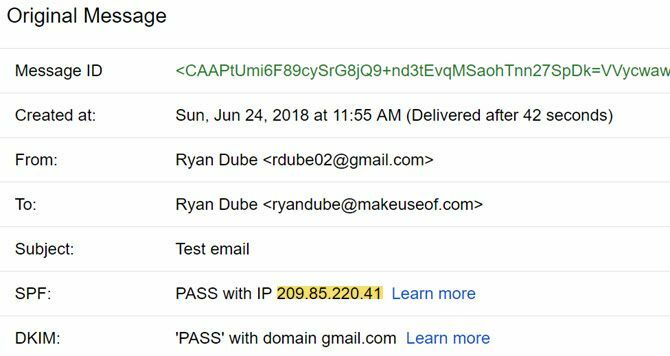 If someone were to trace the IP that show up when you send an email from the online Gmail account, it would only trace to the nearest Google server to you. 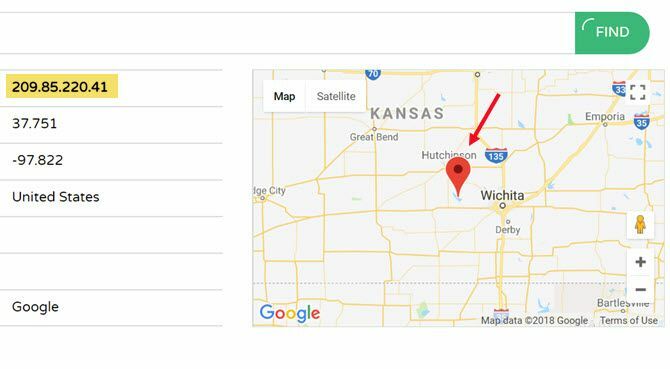 Which, in my case, is the Wichita, Kansas area. With that said, your actual IP address is stored on Google’s systems. So, if the government or any other authority ever came knocking and asked for your location, Google could provide it. If that’s not enough privacy for you, you can add another layer of anonymity by encrypting your connection with a VPN service. We recommend avoiding free VPN services and instead pay for a reputable one like ExpressVPN or CyberGhost. Once connected, you can then use Gmail through the encrypted VPN. Now, when you go to your Gmail account and send an email, the originating IP will still show up as one of Google’s servers, but there will be two differences. First, the Google server won’t likely be located anywhere near your actual location. Second, if Google is ever asked to provide your actual IP, they’ll only be able to provide the erroneous IP address hosted by the VPN service. Another solution that avoids the need for any anonymous email service is using an email client like Thunderbird on your own PC. 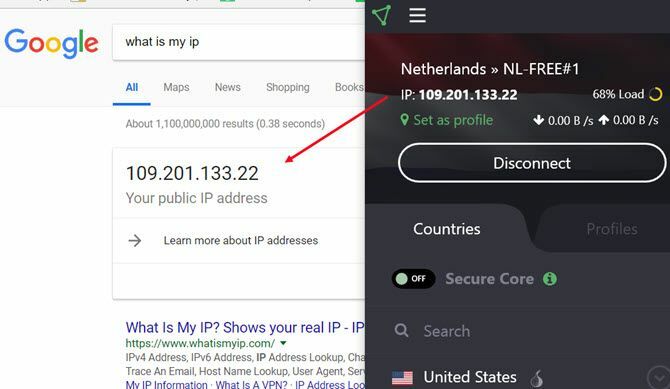 All you have to do is fire up your preferred VPN service and make sure your computer has a remote IP address. Then, just send an email via your throwaway email account using your desktop email client, just like you normally would. What Can You Learn From An Email Header (Metadata)? , it’ll show your VPN’s IP address located some place far away. It’s a quick and easy way to send anonymous emails with very little effort. 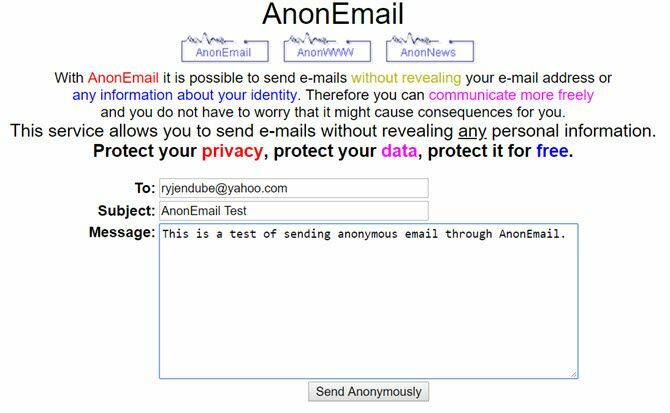 AnonEmail is a service by AnonyMouse. It allows you to send anonymous emails by resending your email several times through random nodes, thus making it impossible to trace back. In AnonEmail, you can fill in your recipient, the subject, and a short plain-text message. Contrary to many other services AnonEmail does not (seem to) log your IP. However, we urge you not to use it for anything illegal! As an extra security measure, AnonEmail will wait for an unknown period of time before sending your email along. Why? So no one will be able to prove your “guilt” based on time/location, or make geographic presumptions based on timezones. Like the name implies, this is another web-based, anonymous email tool. 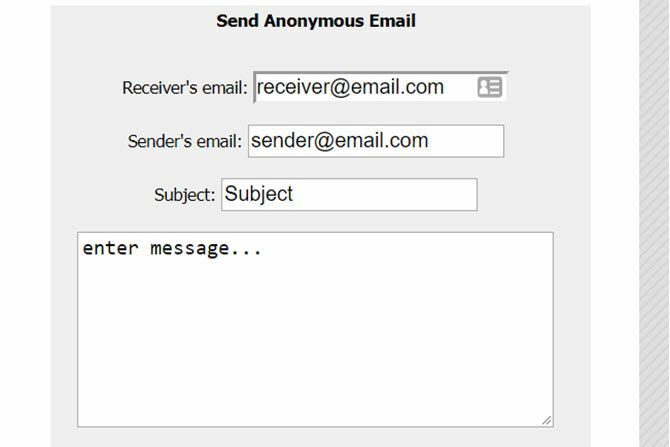 Although it lacks the complete anonymity of AnonEmail, it’s the simplest option to use. 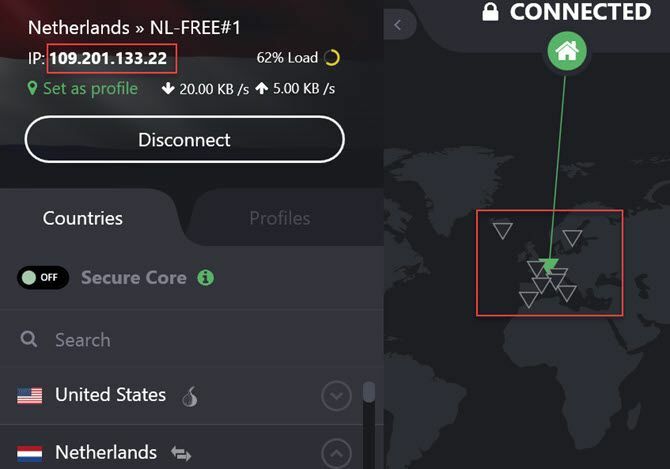 If you’re looking for a free VPN, the choices are currently limited, with many services switching to a paid model. These free virtual private networks can be used to avoid region blocking and more. if you want to fully cover your tracks. Also, neither Send Anonymous Mail nor AnonEmail allow the recipient to reply to your email, so these solutions are only best if you want to send a one-way anonymous email message. I’ve personally used ProtonMail when communicating with a journalist living in China. The journalist was using a VPN to access his ProtonMail account, providing several levels of security from prying government eyes. Not only was his originating IP address located outside of China, but all communications using ProtonMail are encrypted. End-to-End Encryption: Messages are not only encrypted when they’re sent from ProtonMail servers, but all stored messages are encrypted as well. Without access to the appropriate ProtonMail account, no one can access your messages. Private User Data: ProtonMail’s encryption process, which uses an encryption key on your own client computer, mean even the system administrators at ProtonMail can’t access your messages. On the downside, this means they can’t recover your account for you. On the upside, it means they can’t provide messages to any governing authority either. , you can be sure there are no “back doors” available for anyone to access your emails. That includes both system administrators or hackers. If you have a need for regular two-way encrypted emails, you may want to consider signing up for a ProtonMail account and just using it as your regular email service. As you can see, there are a lot of ways to send anonymous email. You can use a local solution with a VPN and either an email client or through a throwaway online email account. 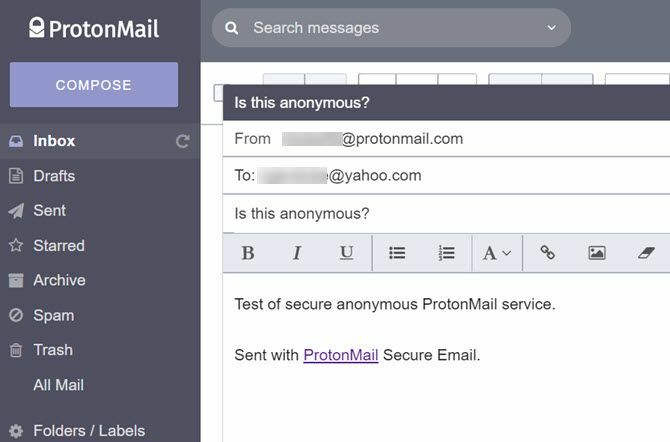 You could use a secure, encrypted email service like ProtonMail. Or you could just use one of the free websites that let you send one-way, fully-anonymous messages. The choice really depends on why you’re sending the message and what level of security and anonymity you need. There are all sorts of technical explanations as to what it is, but today we’re going to take a look at defining object-oriented programming in a simple way. To understand what an object-oriented programming language is, you need to understand what it replaced. Early programming languages were procedural—so-called because the programmer would define a very specific set of procedures that the computer would undertake. In the earliest days, procedures were written on punch cards. Those steps took in data, performed a sequence of actions on that data, then output new data. Procedural languages worked well for a time (and some are still in use). But when you want to program something beyond a basic sequence of steps, procedural languages can become difficult to manage. That’s where object-oriented programming comes in. So then, what is object-oriented programming? The first object-oriented language (generally agreed to be Simula) introduced the idea of objects. Objects are collections of information that are treated as a singular entity. We’ll dive deeper into what that actually means in a second with an example, but first we have to talk about classes. Classes are sort of like pre-objects. They contain a list of attributes that, when defined, become an object. An object simply defines one particular instance of a thing belonging to that class. So we could have an object called WhiteQueen. That object would have definitions for all four attributes (white, tall, cylindrical with crenellations, any number of spaces in any direction). It might also have methods or functions. What makes this so much better than the procedural approach? In short, object-oriented programming languages (like Java) makes it easier to organize data and code in a way that’s more versatile for larger project. To discuss it in a bit more detail, we’ll talk about the four basics of object-oriented programming. Just because you want to use something doesn’t mean you need to know how it works. 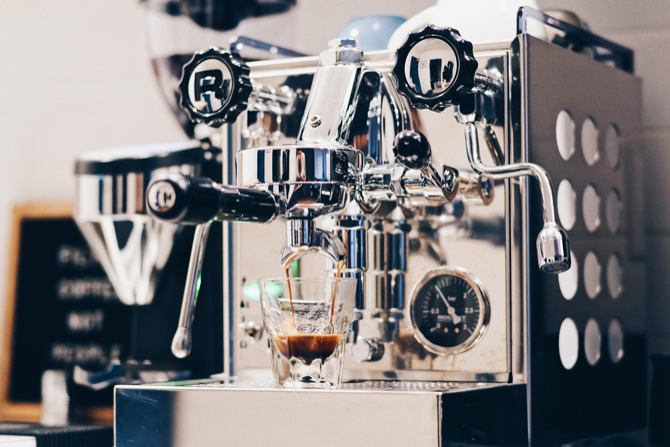 An espresso machine, for example, is complex. But you don’t need to know how it works. You just need to know that when you hit “On,” you’re going to get espresso. The same is true of objects in object-oriented programming. In our chess example, we may have a move() method. That method could require a lot of data and other methods. It might need the initial position and final position variables. It could use another method for determining whether it’s captured a piece. But you don’t need to know that. All you need to know is that when you tell the piece to move, it moves. That’s abstraction. Encapsulation is one of the ways that object-oriented programming creates abstraction. Each object is a collection of data that’s treated as a single entity. And within those objects are data—both variables and methods. 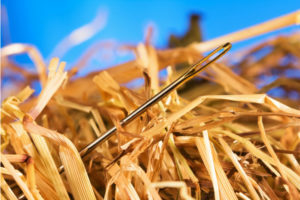 The variables within an object are generally kept private, which means other objects and methods can’t access them. Objects can only be affected by using their methods. A Bishop object might contain several pieces of information. For example, it could have a variable called “position.” That variable is necessary to use the move() method. And, of course, it has a color. These variables and methods are kept within the Bishop object. Because they’re encapsulated, a programmer could make a change to the structure or contents of the object without worrying about the public interface. In addition to classes, object-oriented programming languages also have sub-classes. These contain all of the attributes from the parent class, but they can also contain other attributes. 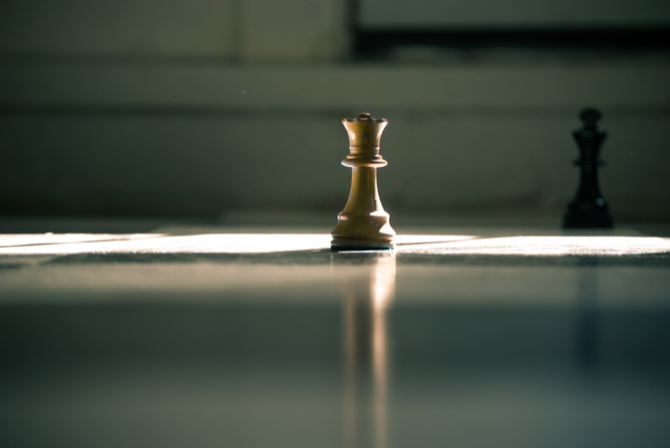 In our chess game, the pawn pieces need a method that can turn them into other pieces if they make it to the end of the board. We’ll call it the transformPiece() method. Not every piece needs the transformPiece() method. So we wouldn’t want to put it in the Piece class. Instead, we can create a sub-class called Pawn. Because it’s a sub-class, it inherits all of the attributes from Piece. So an instance of the sub-class Pawn includes a color, height, shape, and movement allowed. Polymorphism is a result of inheritance. Fully understanding polymorphism takes some programming knowledge, so we’re just going to stick with the basics here. In short, polymorphism allows programmers to use methods of the same name, but with different objects. For example, our Piece class might have a move() method that moves a piece one space in any direction. That works for the king piece, but not for anything else. To fix this problem, we can define new move() method in the Rook sub-class that defines movement as an unlimited number of spaces forward, backward, left, or right. Now, when a programmer invokes the move() method and uses a piece as the argument, the program will know exactly how the piece should move. This saves a ton of time over trying to figure out which of many different methods you should use. Object-oriented programming collects information into single entities called objects. Each object is a single instance of a class. Abstraction hides the inner workings of an object when it’s not necessary to see them. Encapsulation stores related variables and methods within objects and protects them. Inheritance allows sub-classes to use attributes from parent classes. Polymorphism allows objects and methods to deal with multiple different situations with a single interface. If you can remember those points, you’ll have a good handle on what object-oriented programming is. The four basics of object-oriented programming, as I mentioned, can be a little difficult to get a handle on. But once you start programming, they’ll become more clear. , you’ll start to learn how it puts OOP principles into practice. Businesses must disclose what information it collects, what business purpose it does so for and any third parties it shares that data with. The much-anticipated Sets feature has been pulled from the newest Windows 10 Redstone 5 build and there’s no word when it will return. As groovyPost reports, "The Sets feature is a tabbed-windows experience that lets you group together different apps on your desktop." It’s like having different tabs open in your browser, but for apps and File Explorer. From the report: Details on why it was removed and when it will come back have been vague. Microsoft made the announcement about Sets in [yesterday’s] blog post about preview build 17704: "Thank you for your continued support of testing Sets. We continue to receive valuable feedback from you as we develop this feature helping to ensure we deliver the best possible experience once it’s ready for release. Starting with this build, we’re taking Sets offline to continue making it great. Based on your feedback, some of the things we’re focusing on include improvements to the visual design and continuing to better integrate Office and Microsoft Edge into Sets to enhance workflow. If you have been testing Sets, you will no longer see it as of today’s build, however, Sets will return in a future WIP flight. Thanks again for your feedback." It’s not the most earth-shattering feature for sure, but it is a nice one. There’s something pretty solid about being able to keep watching those cute cat videos while also checking your email. Unfortunately, picture-in-picture won’t work for music videos. If you try to use picture-in-picture with a music video the app will just close when you press the home button. 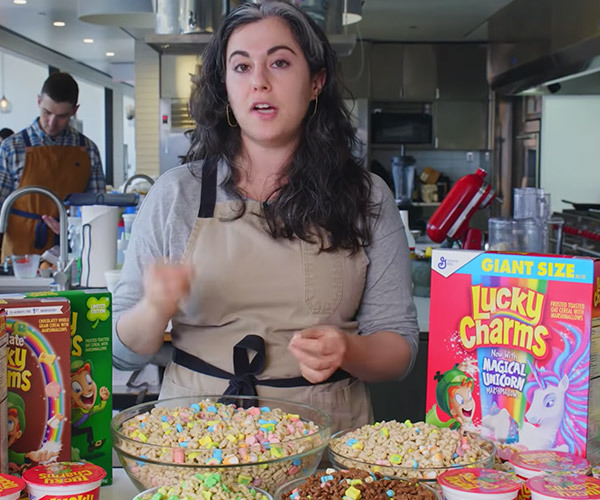 YouTube is still keeping the ability to listen to music with your screen turned off as a YouTube Premium feature as well as a handful of other features like ad-free browsing and offline playback.